This August I returned to my home state of Maine with Catalyst Project. I came back to find that Maine, like so many places in the U.S., has become a battleground of the Rightwing, where people in power are using racism and xenophobia to justify filling prisons and cutting public services. White people I grew up with are being asked for their complicity, and told that their families’ survival is dependent on locking up and locking out immigrants. I also returned home to find movements for freedom budding and growing. Young Somali women are leading the struggle for Black lives; working class people are building an anti-racist movement for decent wages, public benefits and universal healthcare; and sparks of prison abolition are finding fuel. 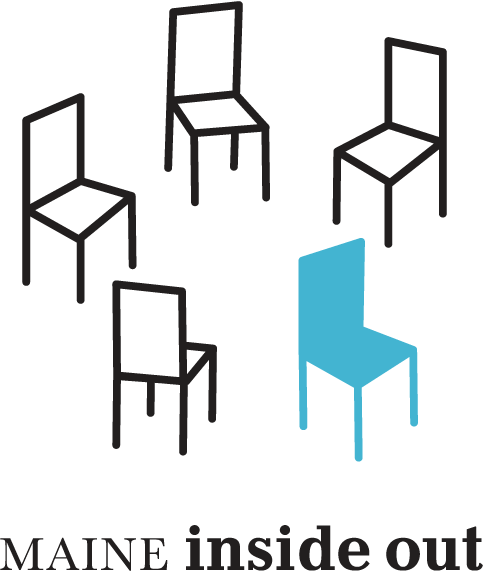 Catalyst was invited to Portland by Maine Inside Out (MIO), an organization that makes theater with incarcerated and formerly incarcerated people to create a culture shift from punishment to accountability, and from isolation to community. They wanted help actualizing their anti-racist commitment in every part of their work as they build a movement for alternatives to prisons and policing. The timing was critical. While Maine has long had the lowest incarceration rate in the country, Governor Paul Lepage is responding to the recent wave of opiate related overdoses and deaths (100 plus this year) by pushing the kind of “get tough” drug war approach that has harassed, killed, locked up, and otherwise terrorized communities of color and poor communities throughout the country. He is currently threatening to call in the National Guard to bring military support for the state’s drug enforcement, and justifying his drug war by whipping up xenophobic and anti-Black hate for the growing number of Latin American immigrants and Somali asylum seekers making Maine their home. In our second day with Maine Inside Out, we worked with their staff to develop and apply their desire to build an anti-racist, abolitionist organization and a movement led by current and former prisoners. We roleplayed responding to racism; assessed current organizational practices around anti-racist strategy, leadership development, and accountability; and charted a path forward to better align anti-racist values and practice. 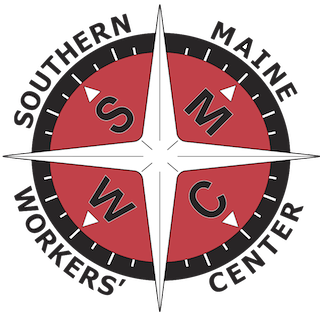 The Southern Maine Workers’ Center (SMWC) also requested our help in centering an anti-racist framework in their campaigns and communications. SMWC is a grassroots organization (including former Anne Braden Program participants Nicole Manganelli and DrewChristopher Joy) that works to improve the lives, working conditions, and terms of employment for working and poor people in Maine. The Workers Center is a part of efforts throughout the Northeast to make healthcare a human right. They recently helped pass a minimum wage hike in the City of Portland, and have been fighting recent cuts to general assistance (welfare). At the Workers Center, we facilitated a conversation with leaders from each of their committees on how to centralize anti-racism and combat the divide and conquer tactics of their opposition, and met with their political education committee to identify next steps in developing a political education program for their members and broader community. As the Workers’ Center has built their base of working class Mainers, they have had to combat the same kind of racist messages that Maine Inside Out has been facing. Like Right politicians across the County, Lepage and others in power are actively working to pit whites against people of color. Member leaders described fighting the message that the pie is only so big, so you have a choice: keep welfare benefits for the “real” mainers like your white grandmother, whose family has been here for generations and who desperately needs support, or use your tax dollars to support “illegal” refugees. This is the false choice that has been forced on generations of white people in this country. The false choice that specifically targets working class and poor whites to align their interests with ruling class white people instead of the people of color with whom they share many material conditions. The choice that keeps white people clinging to the real, but poisoned, benefits of white supremacy. The choice that claims there is only so much to go around, that there is never enough. Never enough money, enough food, enough safety, enough freedom. The choice that keeps the social safety net and living wages pie small, keeps the prison population growing, and falls with terrible violence on communities of color. This is not a choice I accept for my people. And it’s not a choice that Maine Inside Out, the Southern Maine Workers Center, or Catalyst will let stand. As I fly back to California, I’m taking deep inspiration from the commitment of both organizations and all the people we worked with in Maine to build a movement of working people, of incarcerated people, of grandmothers and refugees, of the people I was raised by and grew up with, to demand real choices and real liberation for all people.